Have a kid who loves scary and loves reading? 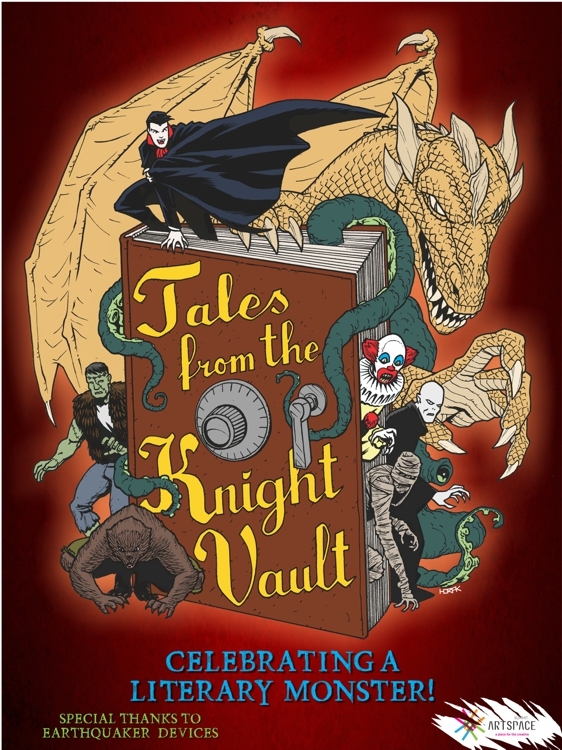 Be part of the FIRST annual Kid Tales from the Knight Vault! Summit Artspace invites young members of the community, 8 to 13 years old, to join the Saturday, Oct. 29 marathon reading of Goosebumps Frankenstein’s Dog by R.L. Stine, during the 200th anniversary of Frankenstein, the horror novel by Mary Wollstonecraft Shelley. A free family event! Make creepy crafts, learn monster dance moves, get into spider mania & meet our friendly reading ghouls! Kids can help read & bring Frankenstein’s Dog to life! We will sign up volunteer readers when you arrive for the event. A parent or guardian needs to accompany child. Parents are welcome to read along with their child and offer assistance. Be ready for monstrous surprises! Click here to sign up and receive a ticket. Limit 100 children and adults. Thank you to EarthQuaker Devices of Akron and staff artist Matt Horak for our Tales from the Knight Vault design. And to Benjamin Rexroad of Wandering Aesthetics for assisting in creation of the event. Look for the an adult and kid reading marathon in October 2017!